Like I mentioned in yesterday’s Maybelline Lasting Drama Gel Liner post that I do not wear eyeshadows on a daily basis, however, Makeup Revolution I Heart Chocolate Wonder Palette is the one that I have had for over a year now and this is what I find myself using a lot for warm toned neutral looks. The brand itself is known for producing affordable knock-offs of high-end makeup products and this one from I ❤ Makeup range is a dupe for Too Faced Chocolate Bar palette. 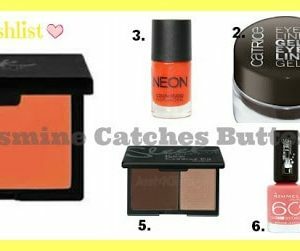 I have tried numerous products from Makeup Revolution and I appreciate its quality for the pricing. As much as I would love to try Too Faced too, it is not available in Pakistan and you have to rely on Facebook sellers which also leads to a further hike in prices. 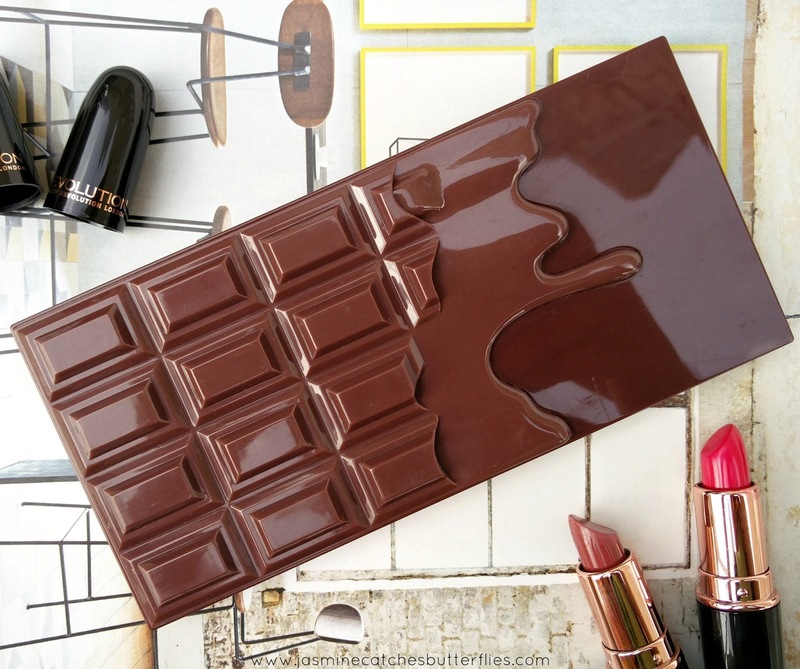 Starting with the packaging of this I Heart Chocolate Palette, I absolutely love the melted, trickling chocolate design and I find it to be cuter than Too Faced. The casing is made out of plastic but it is sturdy and slender enough to be travel-friendly. The palette contains 16 eyeshadows, out of which 6 shades are matte and the rest are shimmery with a satin finish but some have noticeable glitter particles too. Since the shades are mostly neutral, this is the only palette I have travelled with in the past but I just wish it had a black as well because then this would have been perfect. 1. You Need Love – It is a vanilla cream shade, great for a brow highlight. The finish of this eyeshadow is matte, it is soft and has a good colour payoff. 2. Piece Me Together – I thought this would be a deep green shade but it is more of a dark brown with gold glitter particles so it is shimmery and the pigmentation is fine. 3. One More Piece – I love this light brown shade as a transition colour. It is not intensely pigmented so you might need to build it up. 4. Love Torn – This is another shade with gold glitter particles but luckily they are not prominent once blended. It is a lovely red toned brown and a lot can be done with it. 5. 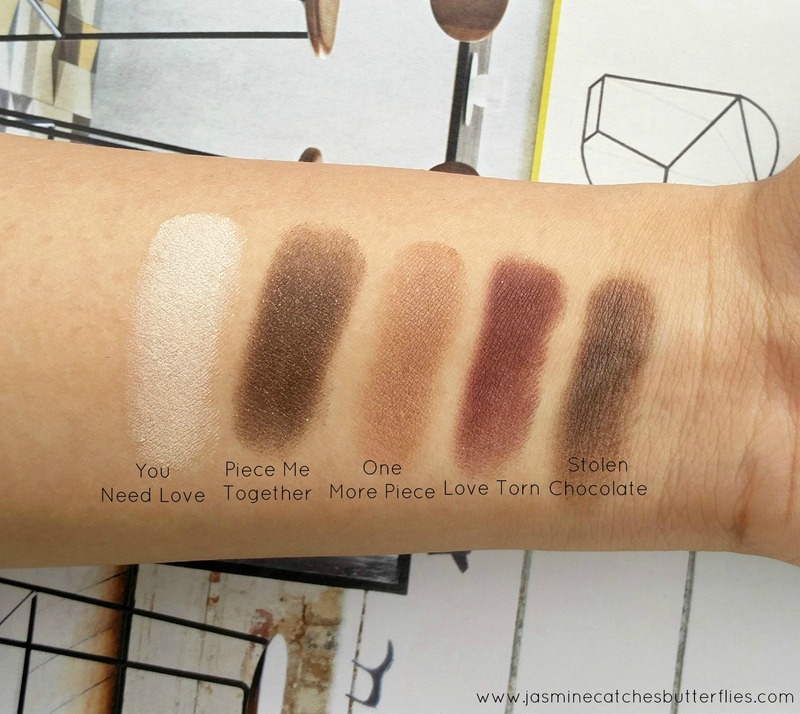 Stolen Chocolate – This clearly is the chocolate brown that we all and while it looks pigmented when you first pick it with a brush or rub a finger on it, I do not find it just as intense in a single swipe. 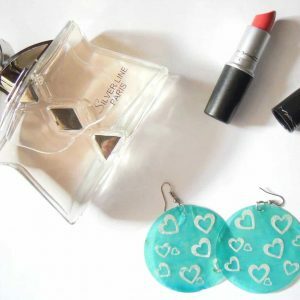 However, this makes it an easy dark shade to work with and you can always go in with more. 6. Thank Friday – This one is the lightest brown with a beige tone and it is almost the same colour as my skin. 7. More! – I use such light gold shimmery shades for party makeup looks a lot so I am obsessed with this. It also makes a lovely inner corner highlight. 8. Pleasure Girl – I gravitate towards this toasty brown shade quite a bit because this is another good transition shade for me. 9. Meet Chocolate – This is a cool toned baby pink but also probably the least used shade in the palette because it looks weird on me and is a bit too light. 10. Unforgivable – I love me a purple shadow so this is one of my favourites. It is intensely pigmented and can be paired with a variety of looks on brown eyes. 11. Love Divine – This is a very smooth, satin red-toned copper shade. 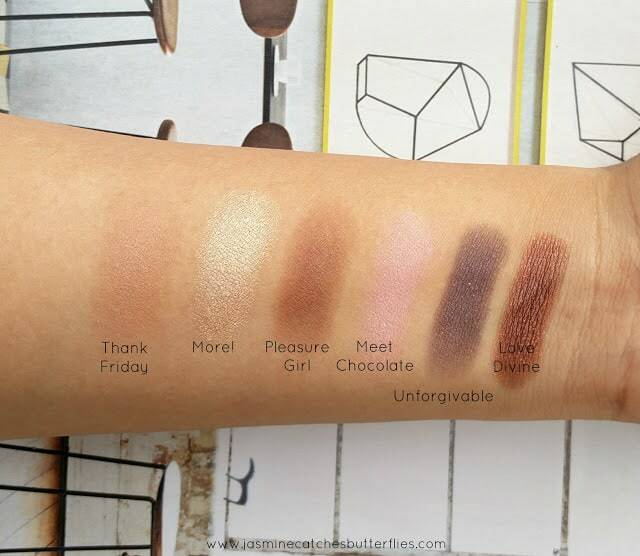 It looks gorgeous and gives you single-swipe pigmentation. This is the third and the best row of the palette pigmentation-wise. 12. Smooth Criminal – Another satin copper but this is more yellow-toned. The colour payoff is bang on. 13. Chocolate Love – This is a darker but muted gold shade. Again, the texture is buttery soft and the pigmentation is amazing. 14. You Need More – It is a brown satin shade and it looks stunning. 15. What A Way To Go – This is a dark berry toned brown, similar to Love Torn but it is redder and has a mixture of gold, blue and red glitter. 16. Endorphins Ready – I will call this a pale girl’s highlight and I love the name. It is shimmery, ivory colour and is another one of my favourites. The overall quality of the palette is really good as all the shades are buttery smooth and not chalky. The pigmentation does vary, especially with mattes, but it is buildable and honestly the lighter shades, of course, don’t appear as well on my skin tone as they would on a fairer complexion. 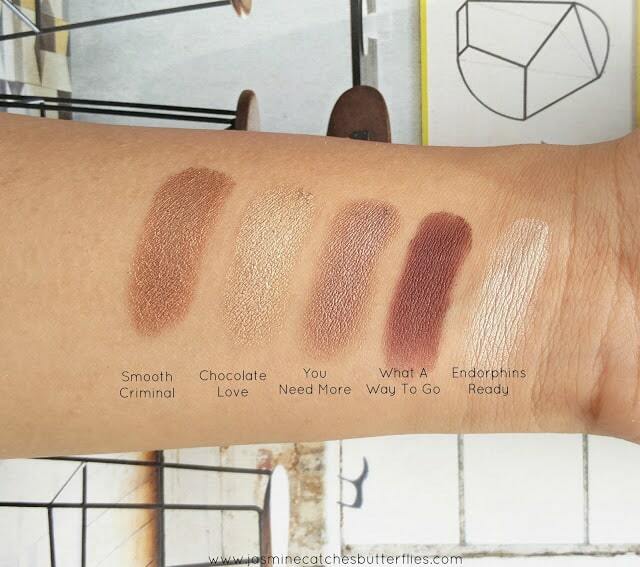 Depending on your skin type, most of these shadows won’t last longer than 3 to 4 hours without a primer. Though, I am glad that apart from the glittery shades I have not experienced much fallouts. You also get a good sized mirror and a dual ended sponge applicator in this palette but I do not use it with the shadows as I prefer my Sigma brushes. Nonetheless, I like how long it’s handle is and I do use the applicator for applying glitter to my lids. Now I know a lot of people obsessed over the Chocolate Bar palette because of the chocolate scent and sadly you get none of it in the I Heart Chocolate palette. The Too Faced one contains real cocoa, however, some people are allergic to it. 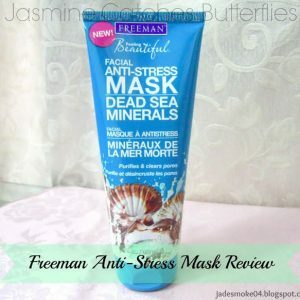 So, if that has been one of your concerns then this can be a good alternative. Makeup Revolution has all the Too Faced chocolate palette series dupes. I had bought mine from daraz.pk but this is not currently listed. 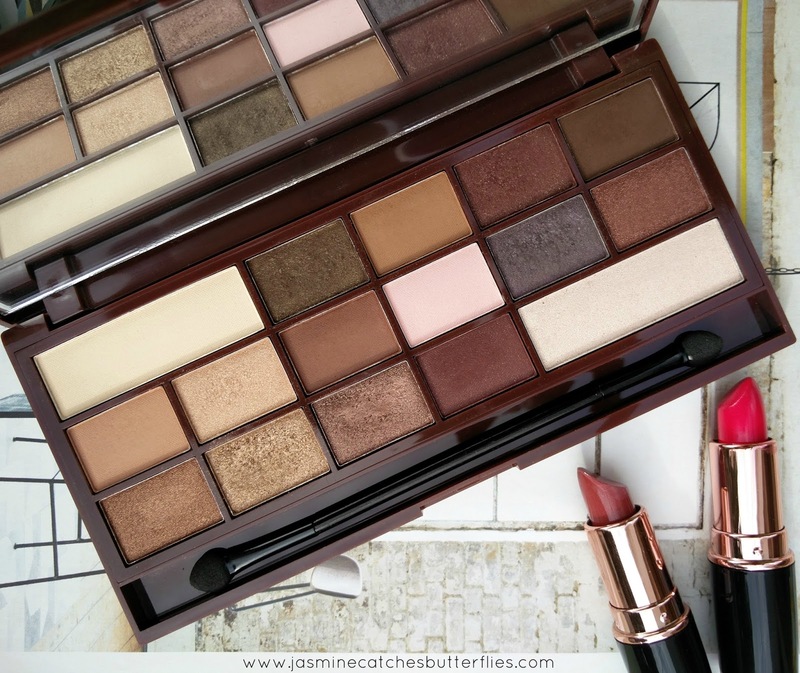 Check out 3 Summer Looks For Different Skin Tones, I used this palette for it.